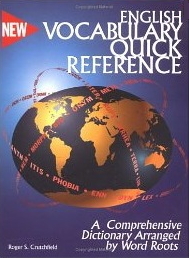 I have always used root words as a quick class opener. I have even used them when my school sprang for the Sadlier-Oxford books as the two work well together. 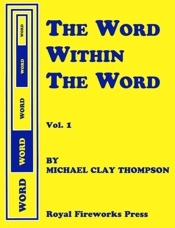 Forty years ago, way back at Millwood, my first school, the teachers developed a list of root words as part of a comprehensive 7-12 vocabulary program. We divided this extensive list of roots between grade levels and expected kids to be taught and to master about 50 at every grade level. Of course, that means each kid had at least 300 major roots in head by graduation. For my part, now that I am no longer part of a compre-hensive system, I went with a core 120 roots broken into 10-root sets in My Root Sets. I teach them very simply, taking only a few minutes a day. I write two or three on the board every day and we brainstorm derivatives. If the students don't suggest enough words, I always have several for each root that I mention. The students use a Derivatives Worksheet to record at least three words that use the root. Then when we cover ten roots, I test them over those ten. 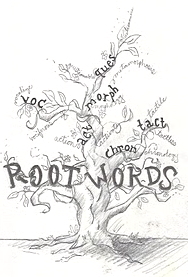 I am very proud of the Root Word Tests since I use a big list of roots that I call My Root Dictionary. I construct tests using words we did NOT discuss in class. 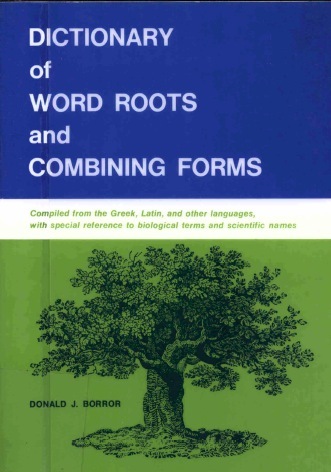 The definitions used on the matching test always include the meaning of the root. So...students can make a 100% on the test over words they have never seen before, just by knowing the roots. 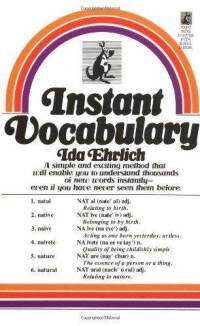 Very empowering, as it gives students the ability to figure words out. The students tell me that knowing roots consciously is very helpful on the ACT and SAT. 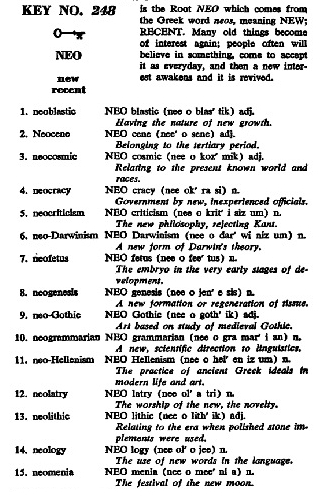 Online Etymology Dictionary is not exactly about root words, but sometimes useful in figuring out how the root got embedded in the word in the first place.